Home HealthObesity How Exercise Helps Fat Metabolism! Obesity is a problem most adults of today face. Some give up trying to reduce weight thinking it’s hereditary and others get discouraged when nothing seems to work. There are some people who are happy with themselves and what they are. Agreed, we do not have to bother about what others feel about us but we have to be concerned about our health. Obesity as we all know leads to all sorts of health problems. Lack of exercise only aggravates the situation. Researchers have time and again drilled it into us that exercise helps burn fat. Results of another recent study reveal that just a single bout of exercise helps obese people boost their fat-burning rate and improve their metabolism. They also found that obese women’s fat burning rate had reduced when they overate and did not exercise. To appreciate the immense value of these research results, it would help to understand what metabolism is and how it works. Metabolism refers to the many chemical processes that go on continuously in our body, which are the root cause of our life and functioning. All these processes need energy from food. The amount of energy (kilojoules or kj) our body burns is regulated by our metabolism. The only way we can get our metabolism to work is through exercise. • Basal Metabolic Rate (BMR) – It is the amount of energy the body needs to maintain itself. It contributes to about 50-80 percent of total energy used. Muscle mass is responsible for BMR, and anything that reduces muscle or lean mass reduces BMR. Since the BMR accounts for so much of the energy used, it is important not to lose muscle mass when trying to lose weight. 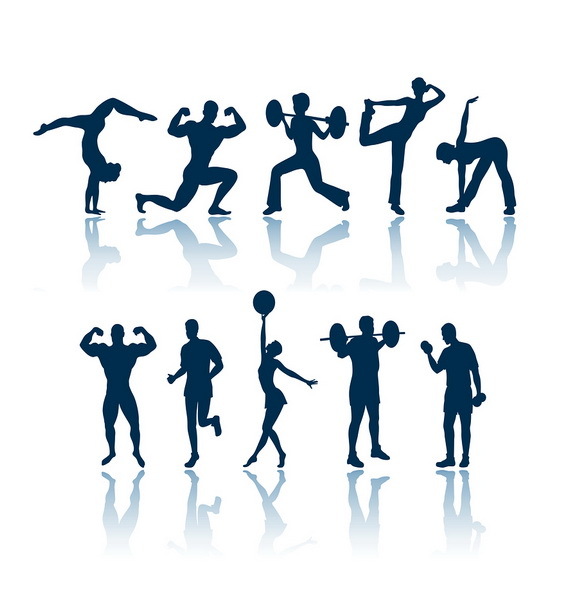 • Energy Used During Physical Activity – This is the amount of energy burned during physical activity. The energy used during exercise is the only form of energy that can be controlled by us. Normally, the rate of energy expenditure is only about 20 percent of the total energy used, but with strenuous exercise, the rate may go up 50-fold or even more. The following list should help you understand how much energy is used for various activities. • Thermic Effect of Food – Our BMR rises after eating because we use energy to eat, digest and metabolize the food consumed. It rises as soon as we start eating and peaks after a couple of hours. This rise in BMR can vary a lot between 2-3 percent and 25-30 percent, based on what is eaten. o	Hot spicy foods – Foods containing mustard, horseradish and chilli can have a thermic effect. This is the reason, we are told to eat more protein rich foods and less fatty foods. You must note the importance of muscle tissue in our bodies. Muscle tissue has a monstrous appetite for kilojoules. The more muscle mass you have, the more energy you will burn. People usually put on weight as they age and this is because they slowly lose muscle. Researchers believe that the reduction in muscle mass as a person ages could be more due to being less active. They believe that strength training and resistance training can help reduce or even prevent the loss of muscle. Now that you know what foods to eat and what activities to perform in order to boost your metabolism and increase the energy you expend, start following the basic steps first. Initially, you can begin with going for a slow walk, increasing the speed gradually. Next step is to concentrate on the food you eat, without depriving yourself. Just replacing part of the fats with protein is a good way to start. A good exercise and food regimen is a wonderful way of kick-starting your life again. You no longer have to worry even if you do not seemingly lose weight, as long as you are being health conscious and you know your body is happy. Great article. I will just add my 2 cents. If you stick to monounsaturated fats you will be fine – body needs those fats to function properly and you CAN NOT get belly fat from them. Second – if you are overating and you can not drop calorie intake start using negative calorie foods to beat the hunger. That’s the foods which have less calories then it takes to burn them. Sorry Aga – but I must disagree entirely with your comments on monounsaturated fats. While I have read some evidence that monounsaturated fats might have some health benefits, and there is some suggestion they don’t make you fat quite as quickly as, say, lard, it is not clear cut. The truth is that the body, and more specifically the liver is a marvellous, complex, imperfectly understood, metabolic wizard that can turn virtually any kind of excess food intake into fat. Go look at a decent biochemistry text book if you don’t believe me. We do not need monounsaturated fats to function properly and guzzling olive oil is not going to keep your belly free of flab. We do need some essential fatty acids (omega 3 and omega 6 for example) but oils high in monosaturated fats (such as olive oil) are not a particularly good source of these as far as I am aware. A blanket claim like “you cannot get belly fat from monounsaturates” makes me wonder where you got your information. Was it after conducting a series of carefully designed experiments, or by reading papers from peer reviewed scientific journals, or perhaps it was the unsubstantiated internet blog of some self styled, “nutritionist” who is also selling a line of negative calorie food like substances? The only actual food (other than beverages based on water) I can think of that might qualify as a “negative calorie” food is raw celery or maybe cucumber which I don’t think would bring joy into the average dieters life. The only beacon guiding us through the maze of crank dieting ideas is the fact that if you wish to lose weight, energy in must be less than energy out. There is no supplement or diet in the world that will get around the basic laws of thermodynamics. Starving yourself to lose weight is the difficult way to do it and probably leads to some unfortunate metabolic consequences. Instead eat wisely (as recommended by qualified dietitians and freely published by government websites, not “nutritionists”) and do a lot more exercise. Eat your vegetables and go walk that dog! Starving yourself to lose weight is the worst way you can lose it. You will just be slowing down your metabolism. Yes, you may lose weight at first but the second you actually start eating again the weight will come right back. Keeping your metabolism up by eating small meals every 2-3 hours is the best way to go about it. is it possible I can have permission to use the image in this article for my GCSE IT coursework?